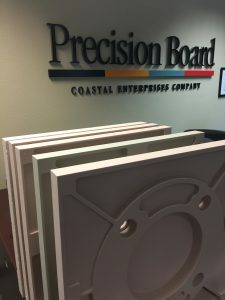 One of the more frequent inquiries we receive at Coastal Enterprises involves questions about machining Precision Board HDU. 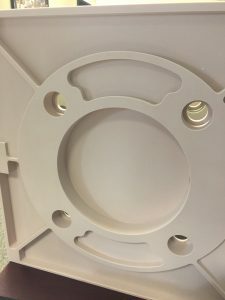 For those that are experienced in working with the product, we typically hear things like, “this stuff cuts like butter”, “my cutters last longer”, “I can set my CNC to a higher feed rate” or our favorite, “I get more chips and less dust”. 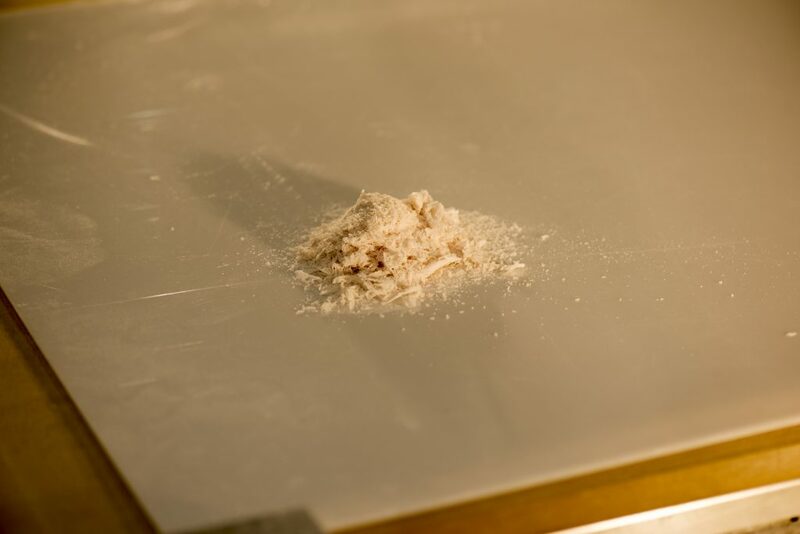 These performance factors are the result of Precision Board being a non-abrasive cellular product that has no grain. But if you’ve never used the product, you may want to know “what type of cutter works best”, “where do I start with my speed and feed settings” and “what should my chip load be”? 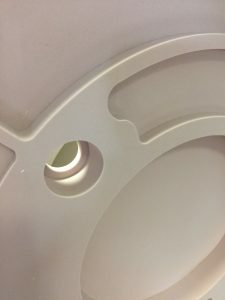 First of all, a wide variety of HSS cutters commonly used for wood and plastics work very well for machining Precision Board HDU, and a wide range of settings will produce great results. As a starting point, consider the new testing done by cutter manufacturer Onsrud this year on various densities of Precision Board. To create the design shown above, they used two different router bits and eight passes in total for each density, with slightly different settings for speed, feed rate and chip load. For the first seven passes on our PBLT-15 (15 lb. ), they used a 1/4” solid carbide two flute upcut spiral O flute cutter. The first pass was done with an RPM of 22,500, a feed rate of 360 IPM, and a chip load of .008 inches. For the last pass on PBLT-15, they used a 1/2” solid carbide two flute upcut spiral O flute cutter with an RPM of 13,750, a feed rate of 300 IPM, and a chip load of .011 inches. Both settings produced a smooth surface finish. For exact settings on all eight passes, please refer to the speeds and feeds chart below. Keep in mind that while this data was generated with carbide cutters, HSS cutters also perform very well due to the non-abrasive nature of Precision Board HDU. 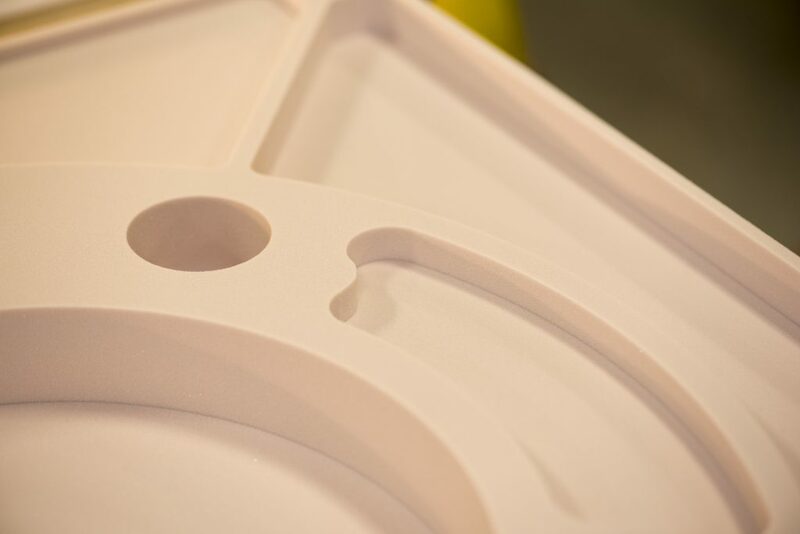 Adam Prentiss of Lormac Plastics has extensive experience machining Precision Board, particularly PBLT-30 and PBLT-40. He finds that dialing in the right speed and feed is very easy with both HSS and carbide cutters. 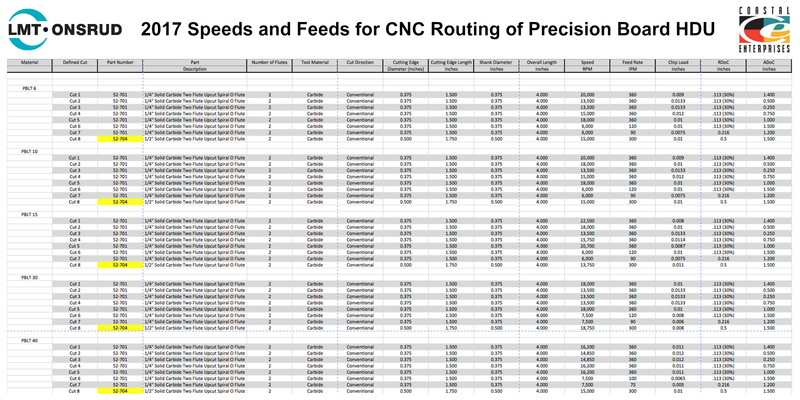 Here are detailed settings used by Onsrud that produced the best results across a range of Precision Board densities (click on the image to expand it full-screen). 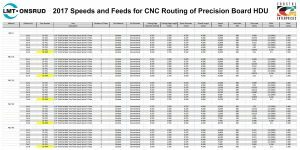 In addition to speeds, feeds and chip load settings, the chart contains information about cutting edge, cutting length and more. This chart can also be found on our Router Bit Selector Guide page. With a little experimentation you’ll become an expert in no time at machining Precision Board. Proper cutter selection and machine setup will produce a smooth cut, leaving chips that fall to the ground and do not become airborne. And because we’ve added an anti-static agent to Precision Board, chips will not cling to your work or your equipment. You can also refer to the CNC Router Production Guide from Onsrud for more details. 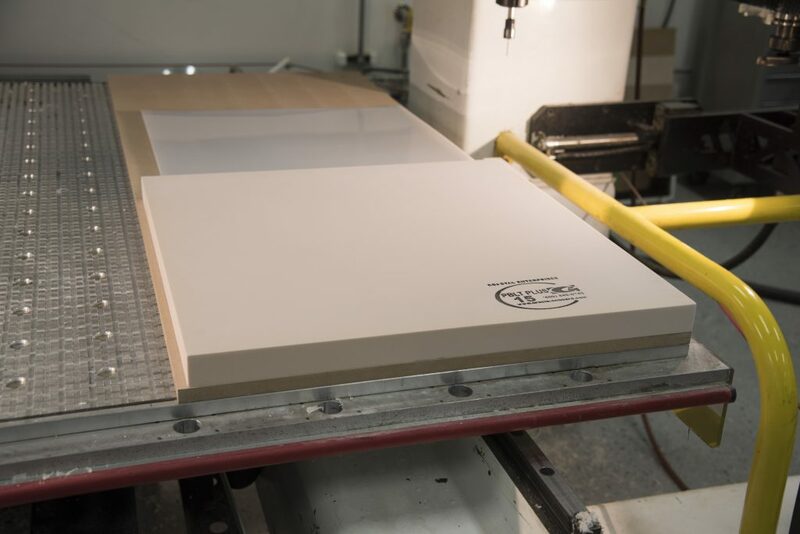 Precision Board is eco-friendly with “green” urethane components. 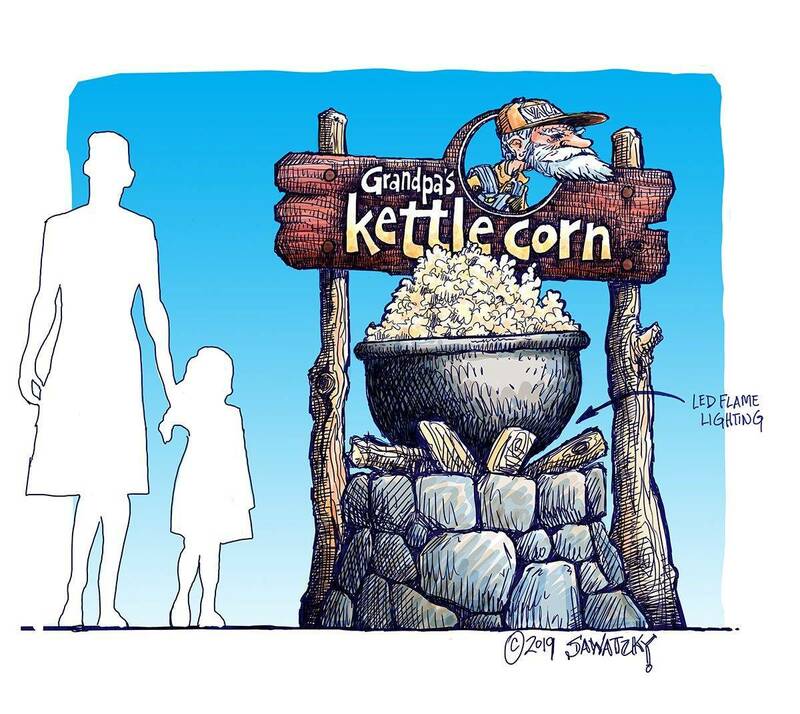 It has a certified “Carbon Balance” of 3 to 1 and a “Rapidly Renewable resource Content” of 23.9%. Learn more green facts here. Need help with a quote? Click here or call us at 800-845-0745.